I don't know about y'all, but sometimes I have a hard time getting going in the mornings. I love to start my day with coffee and something healthy to get my metabolism going. I have been especially conscience of this with the Holidays approaching and with them, all the tasty treats and goodies that aren't necessarily great for your waist-line. Somedays I am better than others and I have really been trying to get Henry on board because he is really terrible about eating in the morning. 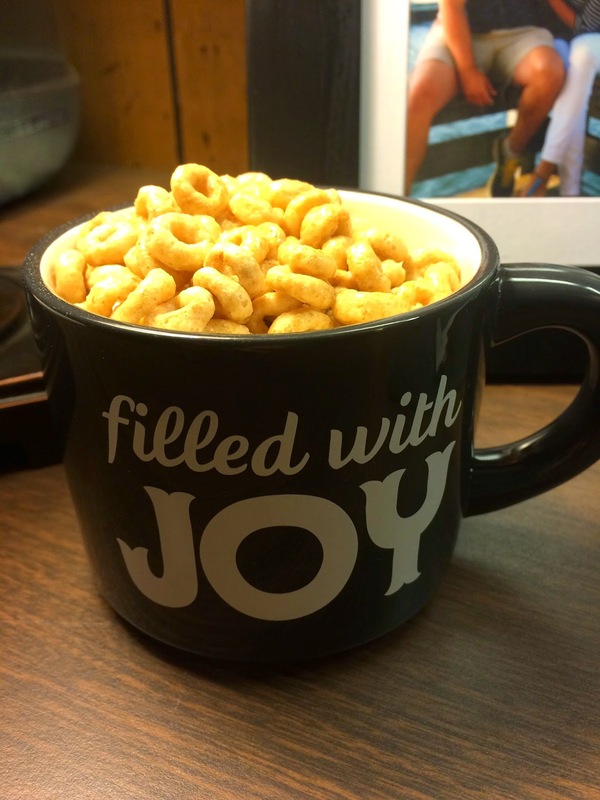 Henry can sometimes be a little picky and he has a tendency to turn his nose up at some of my "healthier options" but the man does love his cereal so I was so excited when he told me how much he loved one of my favorites Honey Nut Cheerios. We have been incorporating them into our morning routine and sometimes even for a little snack around mid-afternoon. We are both loving it and the pick me up that comes after. 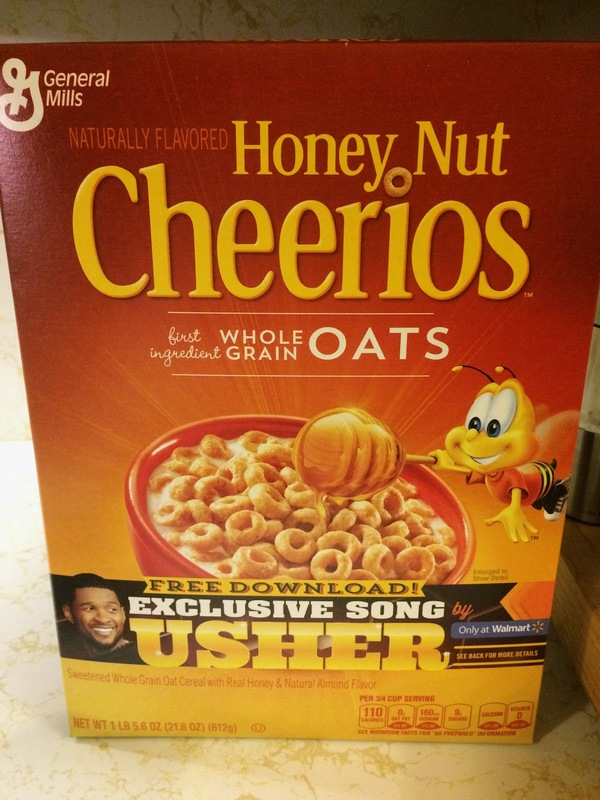 I like to listen to some of my favorite jams in the morning ( right now a little Christmas) to get ready for the day and Honey Nut Cheerios is offering an exclusive Usher song right now in their cereal boxes. This song is only available through Cheerios. It is not even included on his new album release, which I think is pretty cool. This promotion is exclusive to Wal-Mart and will run through December 31st. 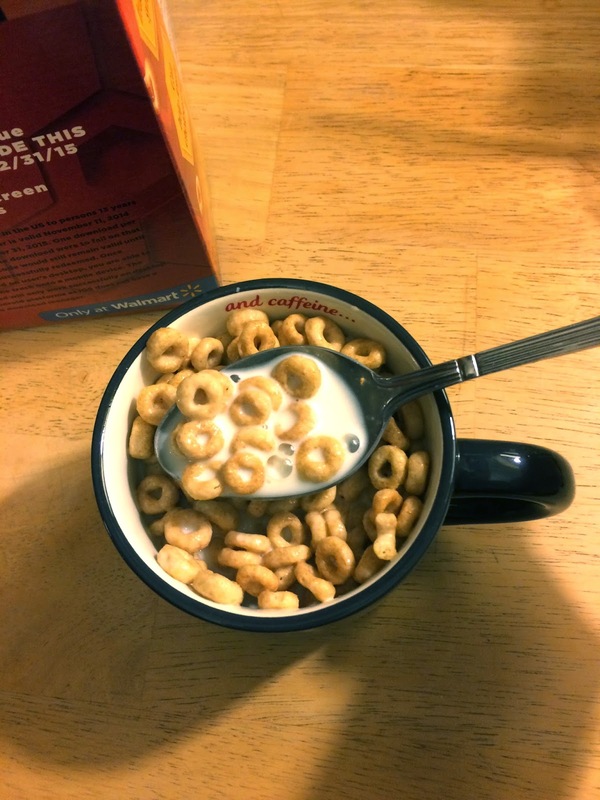 I am also obsessed with my adorable new coffee mug I found at Target last night and am I the only person who likes to eat their cereal/ice cream out of a coffee mug? 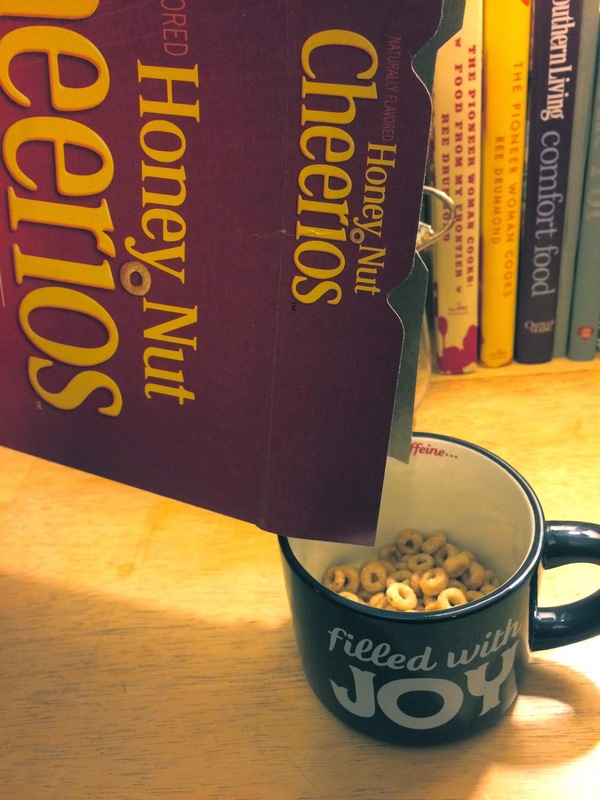 Either way you eat it I am a huge fan of Honey Nut Cheerios to start your day or for a mid-day pick me up. Next week I am going to make Henry's Favorite Chex Mix, which includes them in it. Recipe to come. On that note, I might need to do a little more dancing to this new Usher beat.... burn those calories baby!! How do you start your day? Does anyone else try to be super healthy leading up to the Holidays so you can indulge?